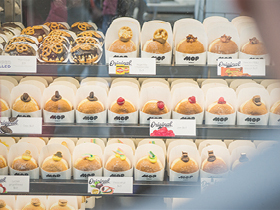 MOP Donuts, specialise in brioche-style donuts served with a modern twist. Made fresh, every day. Located on the corner of William and Murray Street Mall, below The Aviary.